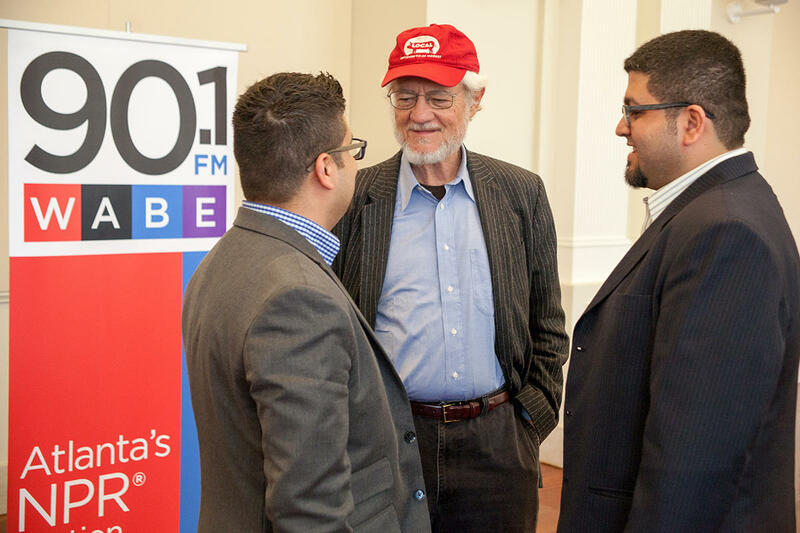 WABE 90.1 FM and ATL PBA are Atlanta’s leading public media providers, and Cornerstone Society members place a high value on great public media for our community. PBA’s Cornerstone Society membership begins with a $1,200 pledge* of annual support and runs year-to-date of gift. Yes, I would like to subscribe to the WABE newsletter. *Pledge fulfillment options include 1) One time, paid in full 2) Monthly sustainer, with twelve equal contributions charged to a credit card or drafted from a bank account 3) Installments- member makes a commitment by phone or email to contribute monthly or quarterly. Concert tickets, matching-gifts, and vehicle donations are excluded from qualifying donations. Connect with Elizabeth Spears, major gifts officer, with any questions about the Cornerstone Society by calling 678-686-0308 or emailing espears@pba.org. Rose Scott and Kai Ryssdal, host of Marketplace, sit down for a conversation at Emory University. Roy Blount, Jr., author, philosopher and “Wait, Wait…Don’t Tell Me!” panelist joined Cornerstone Society members for lunch in Buckhead.